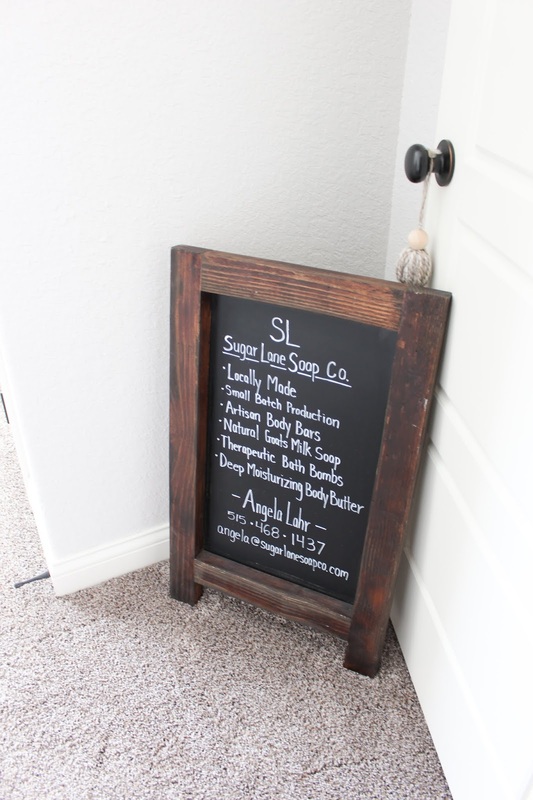 Stylin' Iowan: How to Slowly Incorporate Clean Beauty Products into Your Routine with Sugar Lane Soap Co.
Now for those of you who know me, you know that clean beauty products weren't always on my radar - I'm loyal to my MAC lipsticks and drugstore shampoos to a fault! There are just some products that I will never quit, and that's OK with me! I might feel differently as I age or when I become a mother one day, but there are certain products that I know I just can't live without. 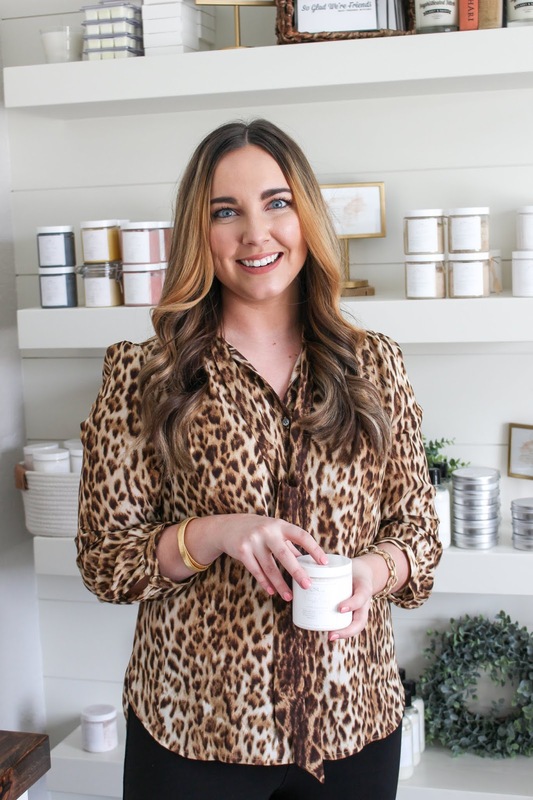 However, when I met Angela, the owner of Sugar Lane Soap Company, her journey towards cleaner beauty products really opened my eyes to becoming more conscious about the products I use everyday. Angela was inspired to start Sugar Lane Soap Co. in honor of her mom, Vicki Jo, who battled cancer over the span of 12 years. She was diagnosed with breast cancer in 2001, and after a few rounds of radiation she had clear scans and blood work for 11 years. However, in December 2012, Vicki Jo went into her chiropractor with severe back pain only to find out that she had two broken vertebrae. After several tests and scans she was hit with the heartbreaking news that her breast cancer had metastasized to her bones, brain, liver and lungs. Additionally, they were told the cancer in her brain was on her cerebellum, which without surgery could kill her very quickly. With the help of her oncologist and family, she underwent surgery in January 2013 followed by three different types of chemotherapy. Unfortunately, those procedures were not successful and the cancer continued to grow at a rapid rate. After an incredibly hard fought battle, Vicki Jo passed away on July 1st 2013 at home with family and loved ones by her side. Angela states that Vicki Jo's battle with cancer brought to light the amount of toxins she was consuming and applying to her body. Unfortunately, toxins are not just ingested through the food we eat or the water we drink, but also through products we apply on our skin! It's not just what we put into our bodies that is important, it's what we put ON our bodies that is important as well. Our skin is our largest organ, and Angela feels that through this difficult time in her life, she realized how important it is to incorporate clean beauty products into her routine. 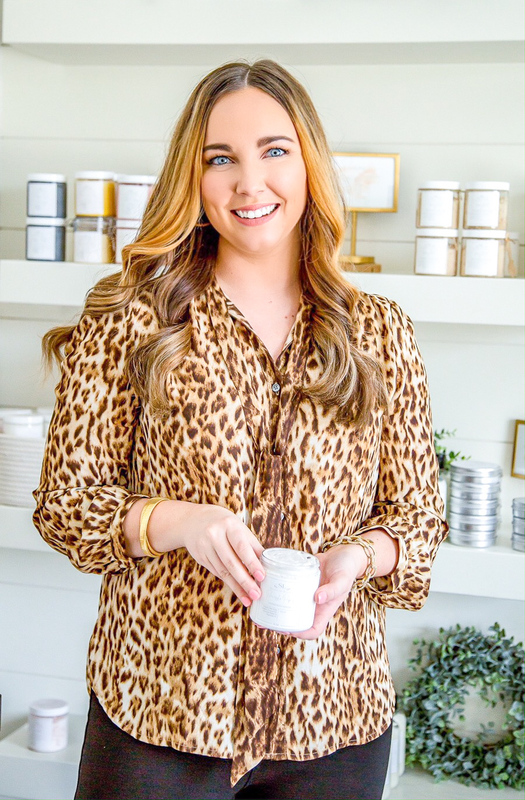 After Vicki Jo's passing, Angela made it her mission to create clean and natural products, right from her home, that she would feel comfortable having her children and family use on a daily basis. Today is April 8th, which would have been Vicki Jo's birthday. 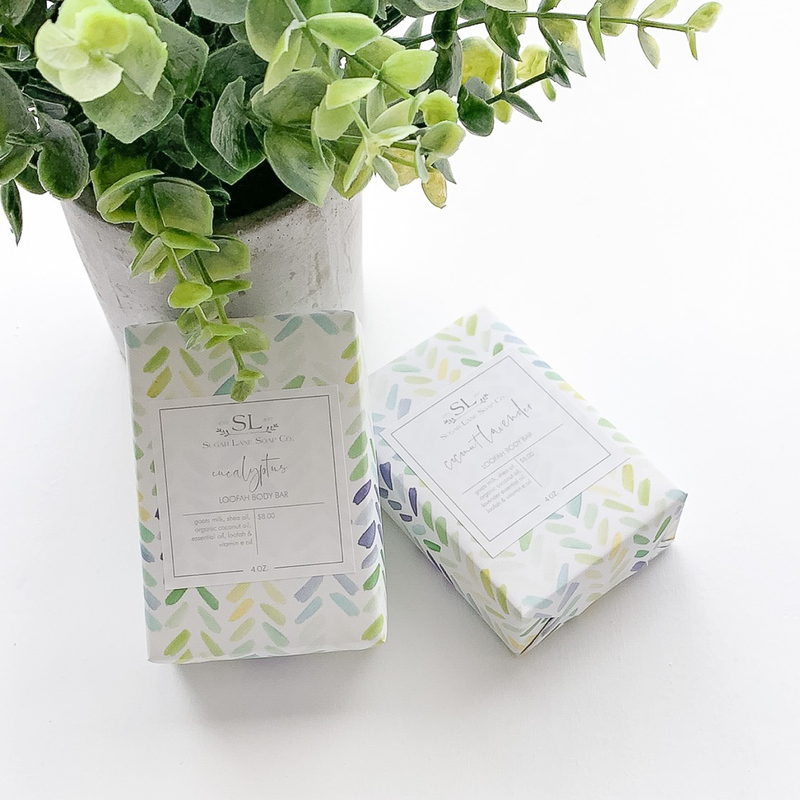 On this special day, I am honored to share with you two incredible products from Sugar Lane Soap Co. that have positively impacted my skin's overall health. OK so you're probably wondering what products I've been using! I've been testing two products, consistently over a four week span, that have positively impacted my nightly routine. I'm one of those people that likes to shower at night so I don't have to dry my hair in the morning and so that my moisturizer can have more time to settle into my skin. When I started using the Pineapple Papaya Loofah Body Bar along with the Pineapple Papaya Whipped Body Mouse before bed, I noticed extreme results. Let me explain! 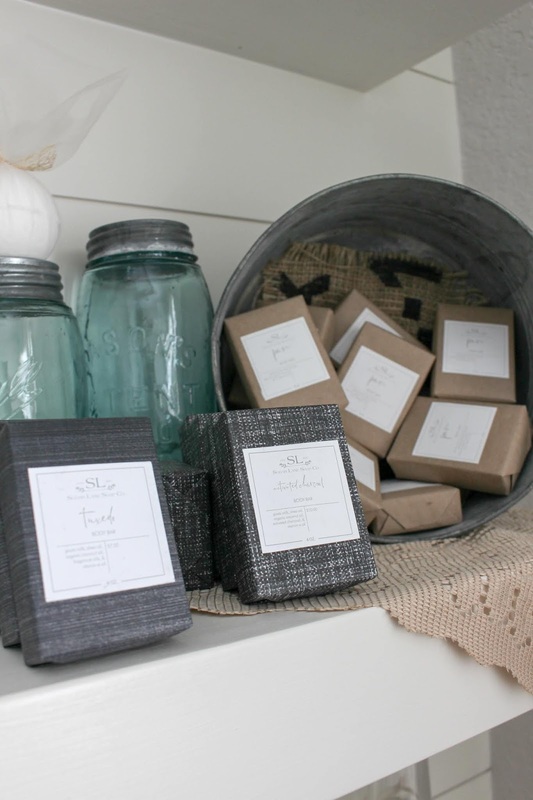 The Loofah Body Bar is an all-natural, handcrafted soap bar you use in the shower or bath. Each body bar is made with goat's milk and all natural oils, which are naturally moisturizing and soothing for your skin! Unlike regular soaps and body washes you can buy anywhere, these body bars will not strip the natural oils from your skin when you cleanse. What's unique about this body bar is that it also includes an all-natural loofah to help you not only cleanse, but also exfoliate, all in one step. I'll admit, the loofah in the bar of soap was something I had to adjust to at the beginning because I wasn't used to exfoliating every time I bathed. However, after about a week of consistent use I noticed my skin adjusted to the loofah and my skin felt SO much more soft and moisturized because I didn't have a layer of dead skin cells on the top of my skin anymore. 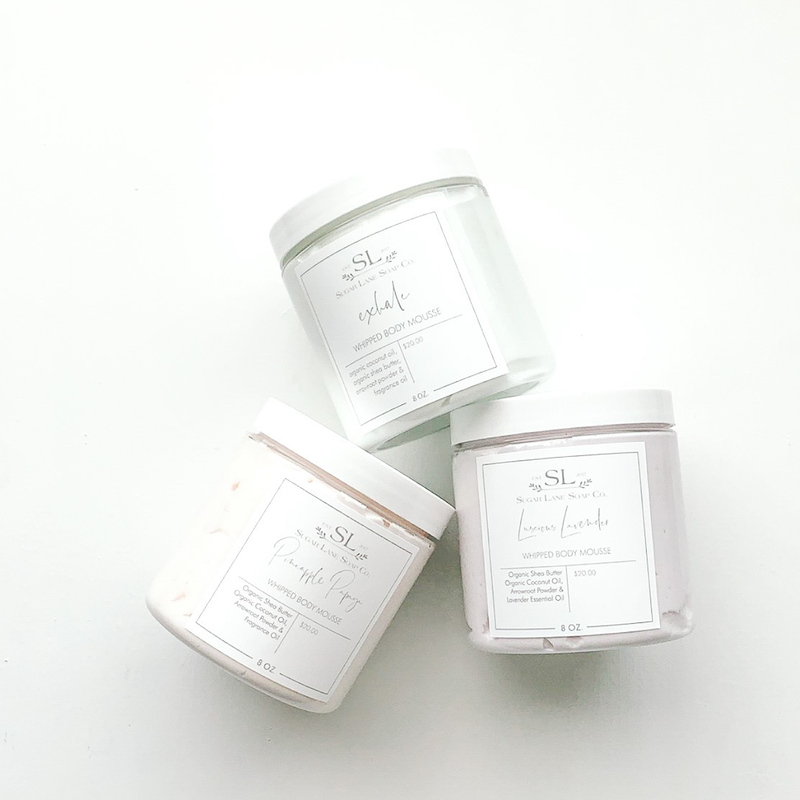 By using the Loofah Body Bar, I noticed my lotions, self tanner and the Whipped Body Mouse were easier to apply and absorbed more quickly and evenly! Also, if you're a frequent self-tanner like me, this product is a game-changer! Last week I was self-tanning quite a bit because I had an event that Saturday, and I noticed the application of my self-tanner was nearly foolproof when I used the Loofa Body Bar beforehand. 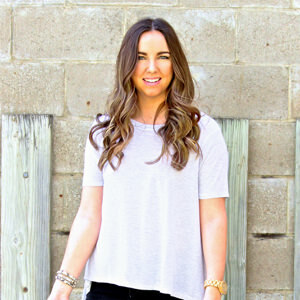 The combination of exfoliating with the body bar's all-natural ingredients helped the self-tanner apply to my skin more easily and more even, plus I wasn't leaving synthetic chemicals on my skin that would counteract with my self-tanner. Now to lock in the moisture (and my new gorgeous and even tan), I would apply the Pineapple and Papaya Whipped Body Mouse! 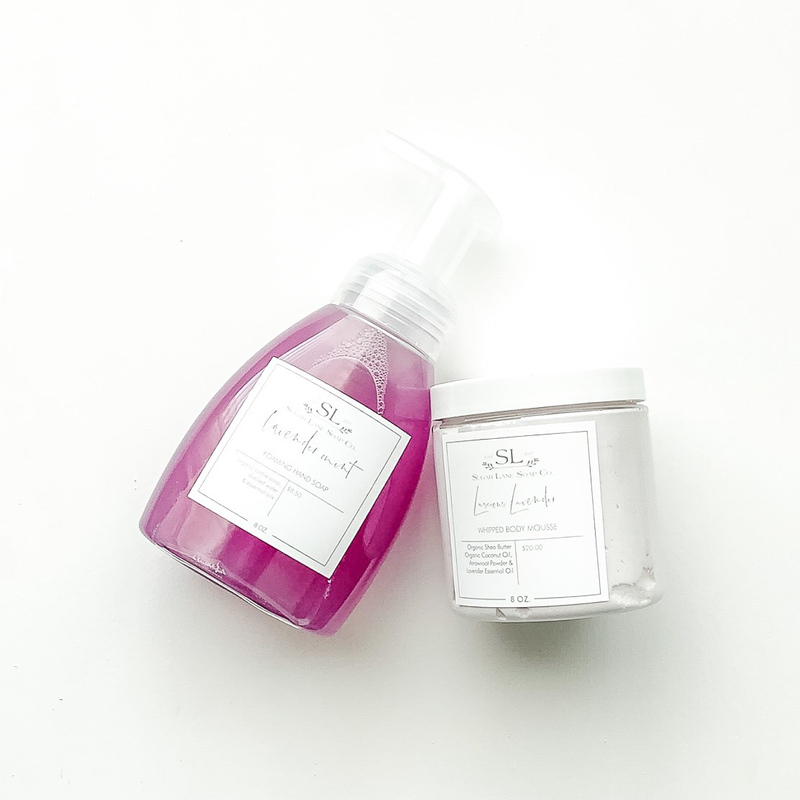 The Whipped Body Mouse is made with natural coconut oil and shea butter - all natural and clean ingredients to help lock in moisture for your skin. A little bit of this goes a long way because of the coconut oil, so you only need a little bit (I'm talking maybe a quarter sized dollop) to cover both legs or both arms. The smell is heavenly too! I smell like I came right off the beach in Mexico! A pineapple and papaya dream if you ask me. Apply this body mouse at night after cleansing and exfoliating, and you'll wake up with dewy, moisturized skin that you can feel GOOD about. Now let's talk about cost. Normally, when you think of clean beauty products, you think they'll cost about a half an Hermes bag. I know in the past, anytime I heard "clean beauty" I instantly saw dollar signs in my head! Now that's not a dig at clean beauty products - in order to be considered clean, the ingredients must be naturally durable and can't be compromised by toxins and preservatives. You get what you pay for - trust me - I understand! When Angela told me the prices on these products, my jaw dropped. Girls, they are SO affordable. For the amount of time Angela spends researching each ingredient, creating each of the products, testing each new product on herself and friends... these products are incredibly inexpensive for what goes into making each product. The Loofah Body Bar currently retails for only $8 and the Whipped Body Mousse retails for $20. I feel these are incredibly priced for the clean ingredients involved. Angela has a range of different products available, like all natural body washes, foaming hand soaps, sugar scrubs, etc. that are all made from natural ingredients and are available for purchase in her online boutique. She ships anywhere in the US and she can also do bulk orders. I think these would make great gifts for bridal and baby showers, Mother's Day, or just to treat yourself to a little something! Is clean beauty important to you? How do you incorporate clean beauty products into your life? I would love to know what you think of these products - definitely let me know if you purchase any of them! Disclaimer: All products were gifted to me to test. I was not paid to give a positive review and only support brands I truly love and believe my readers will love as well. All opinions are my own! I have used the Pineapple Papaya Whipped Body Mousse and it is fabulous! Feels way more indulgent than the price tag! 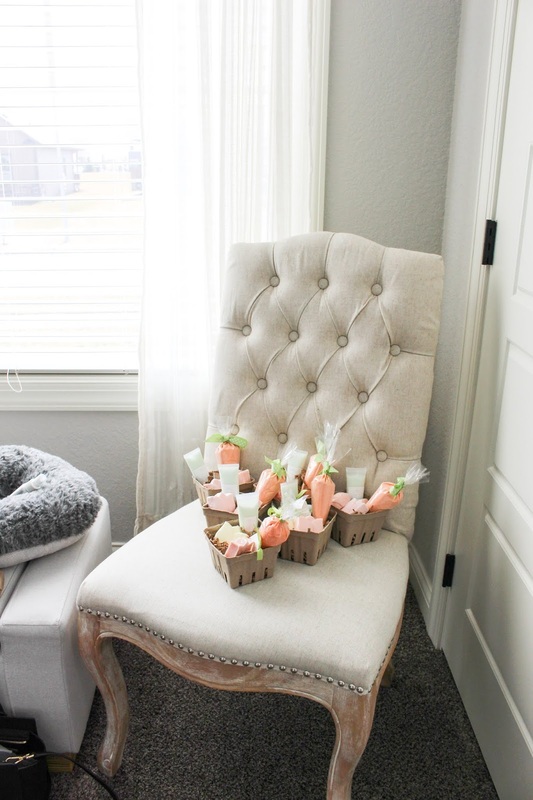 Now I'm going to need to try that Loofah Body Bar!